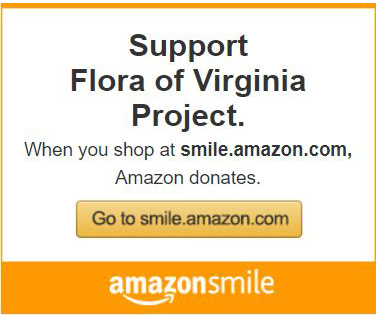 Before the Flora of Virginia Project began, in 2001, the Virginia Academy of Science and the Virginia Native Plant Society began outreach to assess interest in and gain financial support for development of the Flora of Virginia. Audiences included the science education community, such as the Academy, the Virginia Association for Biological Education, and the Virginia Association of Science Teachers, and nature-focused adult groups, like the VNPS, Master Gardeners, Master Naturalists, and garden clubs. The Flora Project’s board of directors expanded on those efforts with presentations, classes, flyers, posters, newspaper and magazine articles, brochures, television and radio interviews, and a website. With the Flora now in its second printing and a Flora App on the drawing board, outreach will target additional public groups, professional and business organizations, and government agencies. The use of digital tools, such as Internet forums, Facebook and other social media, and YouTube, will be implemented or expanded upon, in addition to the continued use of traditional formats.